Regardless of the time of year, pest problems are a fact of life in Central Texas. Undesirable pests such as cockroaches, spiders, ants, wasps, earwigs, and silverfish can surround your home on the outside, seeking entrance whenever and wherever possible. Now you can put a stop to these unwelcome pests with a perimeter pest control plan. 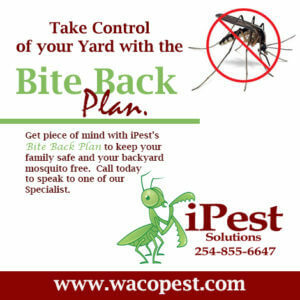 Let iPest, located in Hewitt, Texas manage all of your pest and insect control needs. 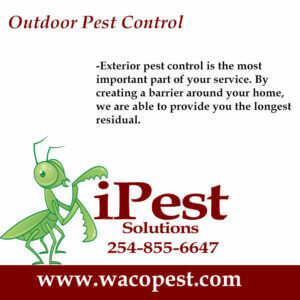 From residential to commercial, we offer top-quality service using Integrated Pest Management (IPM) in the Hewitt and surrounding communities. Please visit www.whatisipm.org. 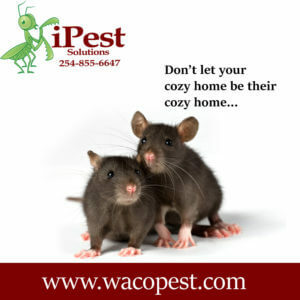 At iPest we not only treat for pests but we also partner with you to prevent them; identifying and correcting conducive conditions as well as locating and eliminating sources of infestations, entry points, and nesting sites to keep new pests from establishing in and around your home. Through a variety of steps starting with a full inspection of the property we will locate all areas susceptible to infestation. We will secure all points of entry eliminating access into the property. We offer different treatments to rid your residence of rodents including chemical and non-chemical control measures. Our indoor pest control service starts with a home inspection targeting areas most susceptible to pest activity. 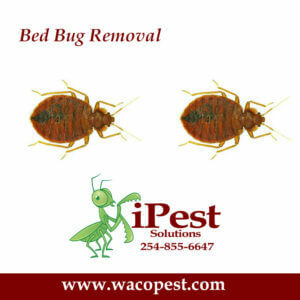 We then use appropriate measures to effectively eliminate your pest problem. Our perimeter treatment is geared towards preventing unwanted pest from gaining entry into your structure. Tired of fighting Mosquitoes during your backyard BBQ’s? Our mosquito control program rids your property of those pesky critters. Contact us for details. 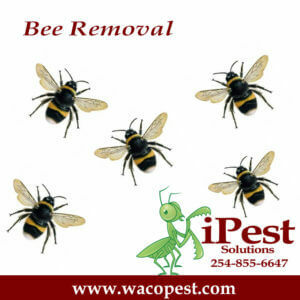 Call to have one of our experts take care of Bee colony’s. Flea control consists of a multi-faceted treatment program. Four steps are required to gain control of a flea infestation successfully: (1) preparation of the area for treatment (2) treatment of pets (3) treatment of inside premises (4) treatment of flea activity outside. 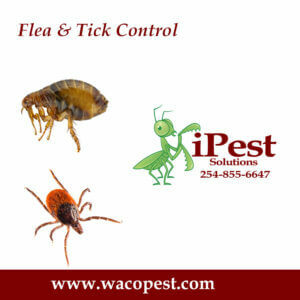 Let our certified technicians alleviate your flea problem with our state of the art flea program. Bed Bugs are on the rise in central Texas. iPest offers a discrete consultation to identify the problem and treat. Call today for more information. I’ve been using iPest for a long time and these guys are always quick and affective with their services. The job is always done right the first time. I love the iPest Team, they come whenever I need them and give me all the information I want, no matter how many questions or concerns I have. 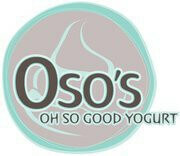 They are very helpful, professional, punctual and always there to help their customers. Thanks IPF for keeping the Atria Hotel & RV, pest and rodent free. 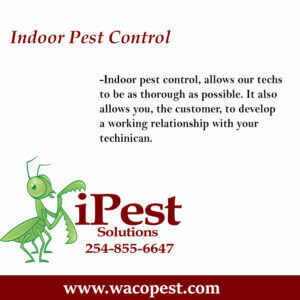 iPest does my home and business! 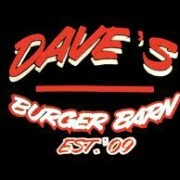 Great service and very friendly. Life time customer!